Your Finance Formulas: Debt-free By Retirement? It Is Possible! Debt-free By Retirement? It Is Possible! Planning for retirement is something that everyone needs to do. If you want to be able to stop working, you need to know how that will happen. You want to support yourself in your old age, whether you're healthy or you need a bit of extra help. One goal that many people have for retirement is to be debt-free. They want to pay off their mortgage, most of all. Apart from that, they want to get rid of any other debts, from car financing to credit cards. You shouldn't have to worry about debt when you reach retirement age. You need to be able to concentrate your funds on your living expenses. The following tactics will help you prepare for a debt-free retirement so you can focus on better things. For most people, their mortgage is the biggest debt they have and will ever have. It takes a lot longer to pay off than most other debts. In fact, many people can spend their whole working life first saving for and then paying off their mortgage. When you reach retirement, you don't want to still be making mortgage payments. Owning your own home is an excellent way to prepare for retirement, giving you a valuable asset. But it's not so great if you're still paying the mortgage. You might be able to start by reducing your mortgage. Visit a site like http://www.rpmqueensland.com.au/reduce-my-mortgage/ to find out how you can do it. It's also all about the timing. You can use an amortization calculator to work out your payments. Using these tools, you can time your mortgage to be paid off by your retirement date. Downsize to a Smaller Home What if it looks like you won't pay off your mortgage before retirement? You can't work out any way that it might happen. If this is looking like the case, there is another option. Many people downsize their home when they retire. However, you don't have to wait until then. Is your home too big now that the kids have moved out? If you're still paying your mortgage, why not downsize now? By buying a smaller house, you could reduce or even eliminate your mortgage. If you're willing to downsize now, it might not only end some of your debt but give you some extra savings too. When the kids leave home, it's tempting to start spending more money on yourself. You can feel like you have a bit more financial freedom. You might go out to dinner more or enjoy some more activities. However, it's important not to go too crazy when you're preparing for retirement. If you want to pay off your debts faster, you should be doing all you can to make larger payments. That means spending less elsewhere so that you have more to use for repayments. There are hundreds of ways to cut costs, from eating out less to switching your energy supplier. Of course, downsizing to a smaller home can also help to reduce your expenses. After reducing your spending, you might consider if you can bring in some more money. 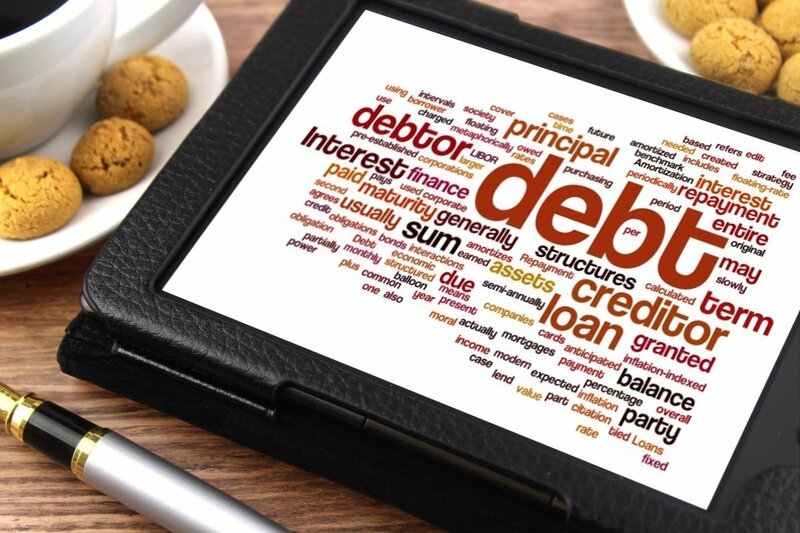 An income stream specifically for paying off your debts isn't a bad idea. When it's time to retire, you could even continue it for extra money. If you're doing something on the side, it will only be a few hours and help to keep you busy. You might have more disposable income so that you can travel or indulge in a hobby. Of course, if you're currently working full-time, it can be hard to bring in more cash. But you might be able to find the time for a part-time job, some freelancing or perhaps even setting up a small business. Find a guide to starting a business on the side at https://www.entrepreneur.com/article/270275. Some people hope to retire as soon as they are able to. However, many people feel that they can or should work for longer. For example, perhaps you can't picture having a completely open day. A lot of people struggle with not having to go to work once they retire. If you think paying off your debts might take longer than you hoped, staying at your job for another couple of years is an option. It might not be ideal, but it could be better for you in the long-run. Semi-retirement is another option. You can reduce the amount that you work without giving up work entirely. This is one strategy you might want to try for a short while, but you should be cautious. If you take care of your debts now, you can have more money to put away for later. If you think it makes sense, you can reduce your retirement contributions for a period. Any money you would have saved or invested for retirement can help repay your debts instead. If you are going to do this, make sure you have a plan. You should decide how long to do it for and how it will help you. If you want to pay off your debt by a certain date, you need to get everything organized. You can start by prioritizing everything you need to repay. A good way to do this is ranking them by their interest rate. Experts say that paying off debts with higher interest rates first is the best tactic. You should be able to pay your debts faster using this method. You can also find out if it's possible to reduce the interest rates on any of your debts. For example, a credit card balance transfer could enable you to move debt to a card with lower interest. You can work out a payment plan to figure out what you will repay and when. You should be able to come up with a pretty accurate picture of when you could be debt-free. You might still take on some debt once you retire. But being debt-free when you reach your retirement could put you in a better position to borrow.